If the Olympics put you in the mood for serving and spiking, here’s some good news: The Henry M. Jackson Playground is getting a volleyball area. It’s just one of many perks coming to two Lower East Side playgrounds as part of a city initiative to modernize ailing parks. Sitting outside on a balmy summer night and watching one of your favorite films with the Manhattan skyline in the background almost makes the stinking mounds of cooking garbage on the street and the hellish temperatures in subways stations worth it. 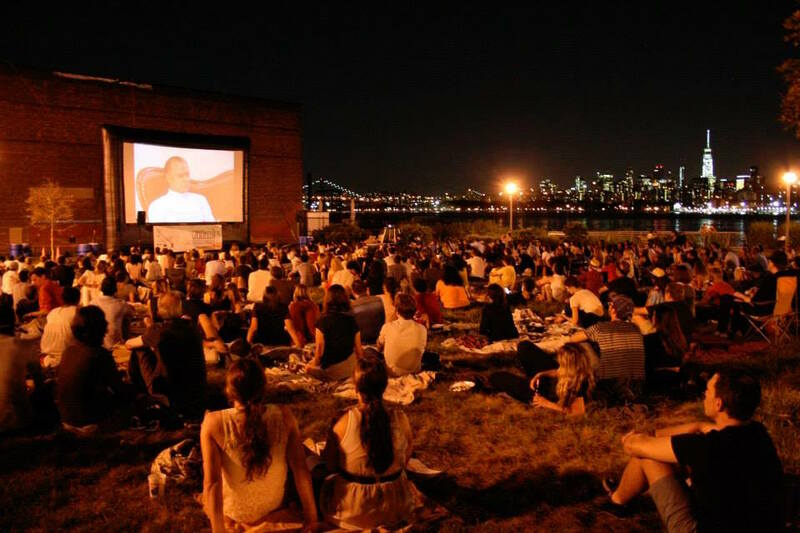 With that in mind, here are some of the best upcoming outdoor film series this city has to offer. Best of all: Most of these are free! Hey, Greenpoint’s getting a shiny new park! Alright, technically it’s a “playground,” but with a new skate park, handball court and basketball court, hopefully it’ll make grownups want to come out and play, too. The major overhaul of tired old Sgt. William Dougherty Playground is scheduled to begin late next year, according to Department of Transportation officials, who announced the plans at a Community Board meeting last night. The De Blasio administration pulled off a regular slam dunk with this one — yesterday the Mayor’s office announced the allocation of $130 million to improving some of the city’s most neglected public parks. The Community Parks Initiative, brought to you by the High Line-snubbing mayor, will not just physically improve 35 underdog parks across the city, it will also expand site-specific programming and activities.